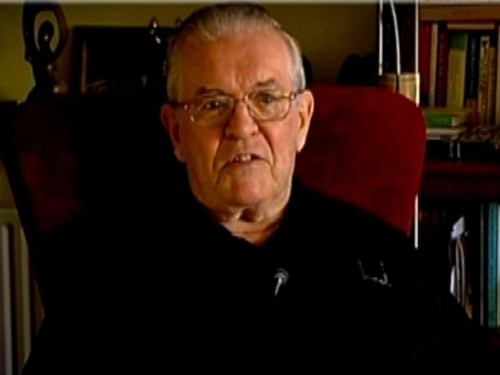 The death has taken place of Fr Aengus Finucane, the former Chief Executive of Concern. The 77-year-old died in the Spiritan Fathers' nursing home in Kimmage after a short illness. The Nigerian civil war in Biafra four decades ago catapulted Aengus Finucane into emergency aid. As a Spiritan missionary in Biafra, a region that was trying to breakaway from Nigeria, he was confronted with famine. He joined parishioners in braving bombing raids to unload relief cargoes at a local airstrip. Meanwhile, back in Ireland, supporters of Fr Finucane and his fellow missionaries raised almost £4m and sent four ship-loads of humanitarian aid. They founded Africa Concern. In 1972 the expanding organisation sent him to Bangladesh and in 1981 he became Concern's Chief Executive. During his 16-year tenure, the organisation moved into 11 new countries and multiplied its turnover ten-fold. He subsequently became its Honorary President with the task of raising funds throughout the US. He was a native and a Freeman of Limerick city and is survived by two sisters and three brothers. Speaking on RTÉ Radio, Concern's current CEO Tom Arnold described Fr Finucane as one of the greatest men of his generation who used his gifts for the welfare of the world's poorest people. In a statement, he said: 'Aengus will be deeply mourned and missed by thousands of people, in Ireland and across the world. 'He had an absolute commitment to the poorest of the poor: his work with Concern saved countless lives and improved the lives of many millions of people. Mr Arnold said Fr Finucane inspired a whole generation of Concern overseas volunteers, particularly in the 1970s and 1980s, who remained his steadfast friends and supporters. Former President Mary Robinson credited Fr Finucane with leading Concern into the top rank of international organisations tackling global poverty and humanitarian disasters. Meanwhile, the Minister for Foreign Affairs, Micheál Martin praised the 77-year-old for bringing relief and hope to millions whose lives were blighted by poverty and injustice.